What do you know about Moscow? Some still believe that the streets of Moscow's go bears, and Russian men eat only cabbage soup and in their spare time drinking only vodka and playing a balalaika. 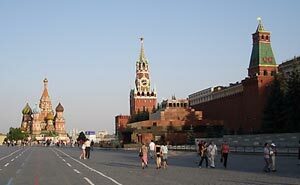 Others know Moscow on Hollywood movies «Superiority Born», «Moscow heat». Others remember her rambunctious humor in the history books. What is Moscow really? So many people - and many different opinions, but overall is one: everyone visiting Moscow will find what he wants to find. You just need to gind the travel guide through Moscow. Fans of fine art, of painting, sculpture and graphics will conquer the great Tretyakov Gallery exhibition and the Museum of Fine Arts – the Pushkin Museum. Music lovers will not pass by the ballet and opera productions at the Bolshoi Theater with their performance of brilliant works of art. In Moscow, also are valuable historical and architectural monuments of world significance: the Kremlin and the Novodevichy monastery, listed in the list of World Cultural Heritage, the Red Square, the St. Basil's Cathedral, Cathedral of Christ the Savior, many manor houses and palaces. In Moscow, there are many places for recreation: Parks with entertainment of a variety of attractions, pavilions and summer cafes, clubs and discotheques all kinds of musical directions, bars and restaurants with traditional Russian, European or exquisite Asian cuisine. And, of course, to reach all corners of Moscow's help to the most popular and attractive mode of transport - the Moscow subway, where you can easily forget about all the plans for your day and spend all day in the magnificence of the underground palaces. 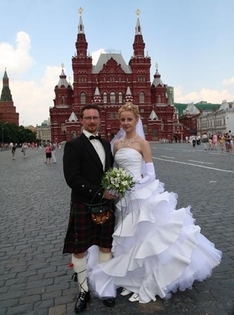 Moscow – for many people the most beautiful city in the world. Let our website privet-moscow.com help to be your guide through Moscow and bring this beauty to you! Privet dear Visitor! Privet Moskow! Do you like fishing? If so, why not to try a fishing vacation at Lake Balaton. Lake Balaton offers its guests excellent opportunities for fishing, yachting and boating. Vacation rentals located near the lake will amaze tourist with affordable prices and comfort. Holidays in Czech Republic are quite attractive to many tourists due to the comfortable and comparatively economic accommodation. For more information, please visit www.czech-netz.com.